Solar and lunar eclipses have captured both the popular and religious imagination through the millennia. Eclipse records — and myths inspired by eclipses — date back to the earliest historical epochs. These include a multitude of cuneiform tablet eclipse calculations from Mesopotamia, where total solar eclipses served not merely as awe-inspiring events, but as vital religious omens as well. Today, eclipses are well understood from a scientific standpoint. However, folk traditions surrounding eclipses remain a part of many cultures around the world, as the following articles in the Globe and Mail (Canada) and The New York times attest. In India, for example, one belief is that pregnant women should remain indoors during an eclipse, so as to avoid any harmful effects upon the fetus. 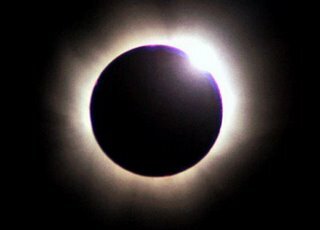 This week’s solar eclipse will begin on July 22nd at 00:51:17 (Universal Time) off the Indian coast, and is notable due to its extremely long maximum totality period of 6 minutes and 39 seconds. That won’t happen again for nearly 150 years.